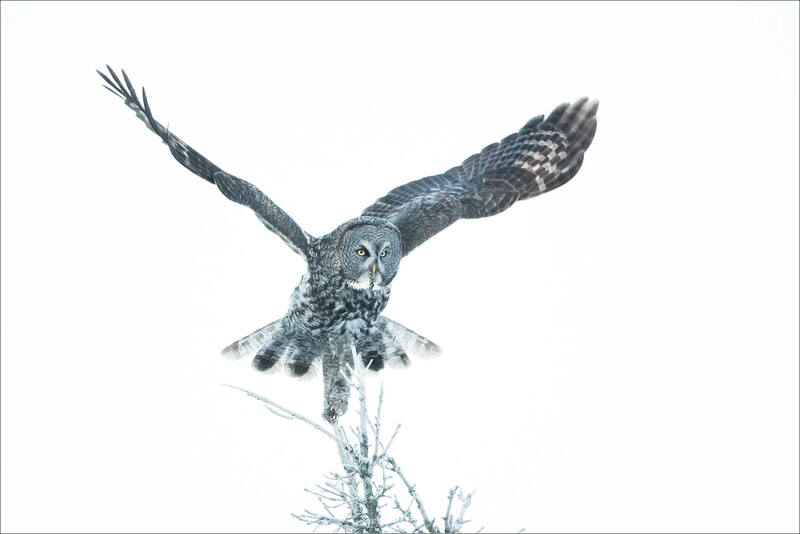 I love watching Great gray owls fly – particularly when they launch. The snowstorm that hit Bragg Creek on Thursday night created a wintry scene that was still hiding spring on Saturday when I went out. 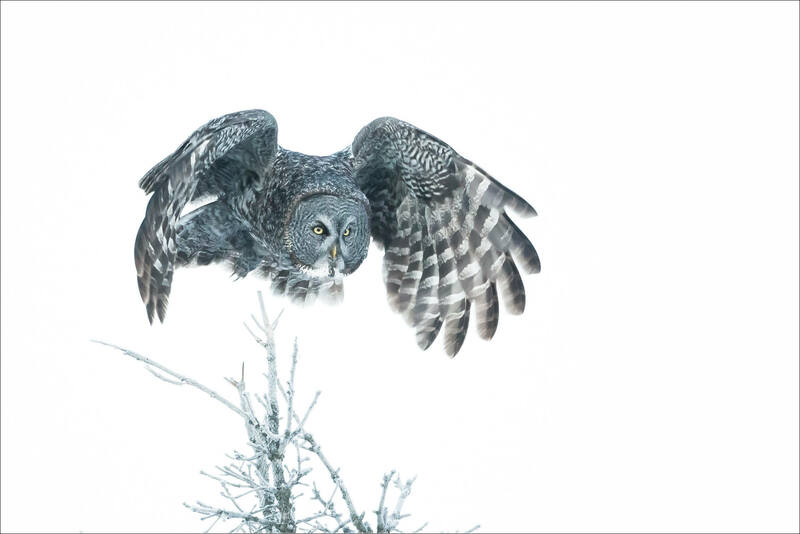 It made for an interesting backdrop to this owl as it took flight. This entry was posted on March 30, 2016 by Christopher Martin. 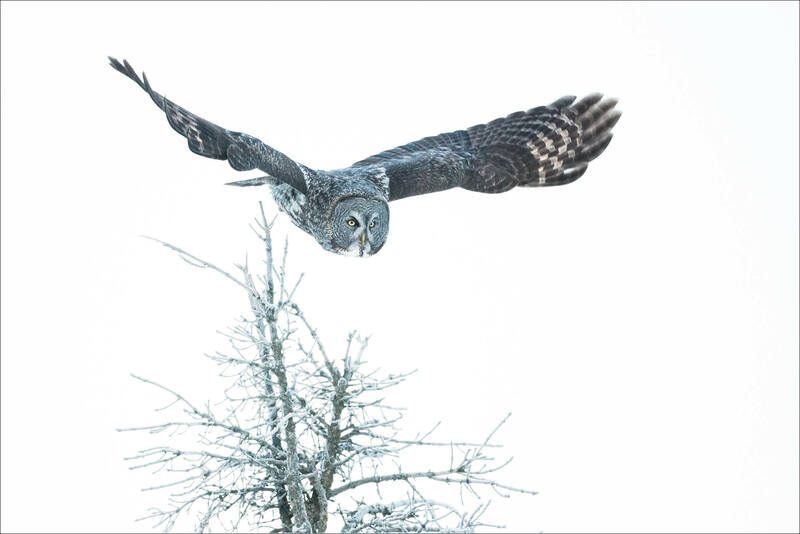 It was filed under Bragg Creek, Owls, Wildlife and was tagged with action, alberta, animals, birds, bragg creek, Canada, flight, flying, Great Gray Owl, Strix, strix nebulosa, wildlife, winter. So gorgeous! Looks like floating in the air, and with the glowning white background I simply thought it was a drwing on a white sheet! Such a magnificent animal captured on screen, Chris, this is beautiful! The level of details in its plumage we now see in this photo, definitely reminds us the wonders of Nature! Those creatures always look wonderful but that backdrop was the finishing touch. Beautiful. Extraordinary birds! I must see one some day. Love the grey against white. These are really good pictures. What equipment and settings did you use?